Published on Jan 3, 2014 | A general introduction to invasive plants and why they are harmful. Tips, tricks, facts, and suggestions for alternative plants. Introduction to the series of videos on individual invasive plants. 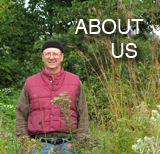 Part 1 of the Herndon Environmental Network Invasive Plants Video Series. Goats actually seem to prefer weedy species. In the last decade, unnaturally-destructive megafires have swept through the West. Ironically, one of the things we can do to help reduce the risk of these megafires — and simultaneously improve the health of our forests — is by doing small “controlled burns” to reduce tinder in our forests. Learn about one of The Nature Conservancy’s fire experts, McRee Anderson, as he travels from Arkansas to Africa to learn and teach about controlled burning to help people, water, and wildlife. Mendota biologist Bryon Walters explains the plan of attack to replace invasive weeds with native landscaping.